Looking for a guide that skips all the bulls*** and gets to the real nitty gritty of Zynga Elite Slots? Want a nice stream of coins flowing into your coffers that is consistently the best this game has to offer? 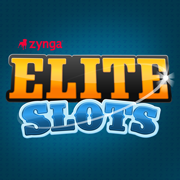 Zynga Elite Slots : The Money Guide combines a blueprint for success with plenty of extras to offer you the most enjoyable experience you could possibly have in this game. Never again will you buy coins or crystals as this guide takes you from where you are now to where we all really want to be - rich or even richer.